Material is partly adopted of the Internet. 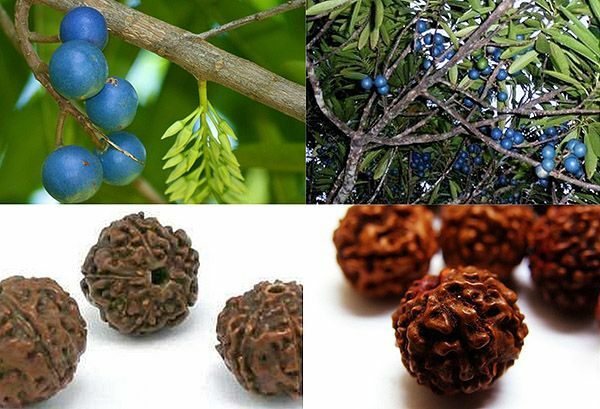 Rudraksha is a type of evergreen tropical broad-leaved trees of herbal family of Elaeocarpus. Sprouts on Indo-Ganges a plain and in the foot-hills of Himalayas (South-east and Sonth Asia). Used in folk medicine. Wood of rudraksha of light-white color. It is durable enough, what it is historically valued for - in the Second world war-time (1941-1945) it was often used for making of airplane screws. Garden-stuffs and seed of this tropical plant are used in beads and popular rosary. Plant of rudraksha and seed from him not be massager self on itself (is fragile brittle). More frequent than all hinduisms use for prayer beads, done from the small dried up garden-stuffs of tree of rudraksha. Hinduism is religion, widespread in India and formed in nach. A.D. on the basis of Vedic brahmanism, hinduism is not single religion, there are ten of different directions, bases of hinduism are stopped up in veda religion, which was brought on territory of peninsula Hindustan tribes of ariev, encroaching there in the middle of old 2 thousand years millenniums BC, in a center hinduism - Trimurti, or triad of gods: Brakhma, Vishnu and Shiva, purpose of hinduism - to find individual spiritual perfection (delivered from negative psychiatric stostoyaniy, syndromes and illnesses), rid of bonds of karma (stuck from outside psychical the states, psychosis) and carry out self-realization (to begin fruitfully and effectively to work), Hinduism, Hindooism. Rudraksha as vegetable plant no toxic in the small quantity. Not have much. 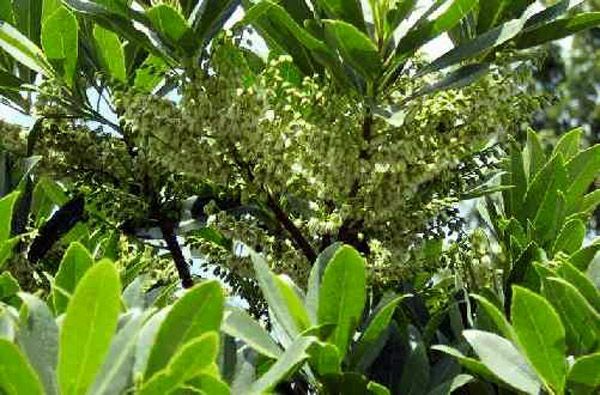 The herbal plant of rudraksha (Elaeocarpus Ganitrus) sprouts in Himalayas (Sonth and south-east Asia), his bark and leaves is used for making of spices. From garden-stuffs rudraksha collect a rosary, thus garden-stuffs are assorted on four categories. The garden-stuffs of the first kind are named Rudraksha, they must be round and large enough. They are used for making of of prayer rosary, garlands, and also some traditional medicines. It is necessary to specify, that rudraksha are the garden-stuffs of Eleokarpusa, reared in Nepal. In Indonesia these grains name "indraksha", and growings in India - "bkhadraksha". 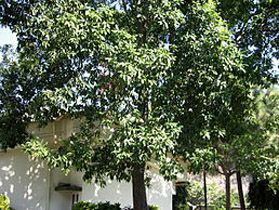 Vera of hindus in healthful properties of this tree is so great, that they have separate direction in medicine, called to study and describe healing features through rudraksha. Medical plant - there can be testimonies and contra-indications. Rudraksha, urgent also japam-mala (108 beads are most popular) or simply mala (beads) is beads, considered the best among other for the restorative affecting organism of man. Besides that beads are natural (medical plant), possess the expressed healthful and medical properties, it is explained yet and that every bead has the unique, unique form. Tubercles, coulisses, burries on a bead are instrumental in stimulation of nervous completions of sorting out beads, the same involving the different centers of cerebrum. Elaeocarpus often seat in gardens, due to beautiful flowers and bright dark blue to the berries. A tree is simple and can raise in different climatic areas on sublimity - in shade and in the sunshine, on different soils, except for sandy and wherein there are stagnant waters (a tree is sensitive of surplus of moisture and bogs). More than all prefers a subtropical climate with a temperature 25-30 C. Young herbal plants require the regular watering, grown man trees are steady enough to the drought. Elaeocarpus has a pyramidal crown with wide brilliant green leaves, cylindrical grey barrel, covered a rough bark. Flowers are white. A tree will read bear fruits in 7 years. Garden-stuffs appear in June and ripen in August-October. Contain oxygen, coal, nitrogen and hydrogen. Sizes and form of garden-stuffs depend on that, where and a tree sprouts in what terms. 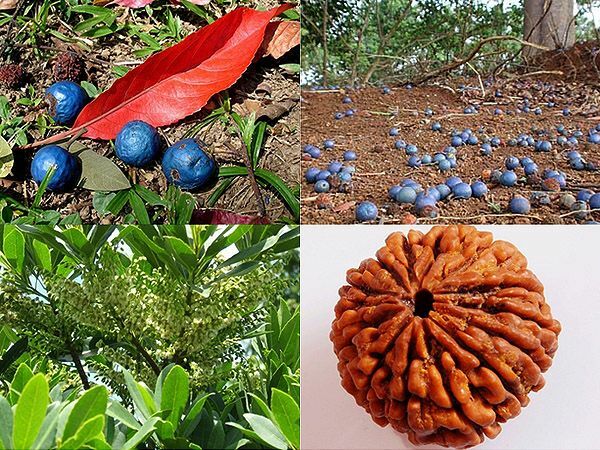 Garden-stuffs of Elaeocarpus are small berries of dark blue color, each of which contains one by one to the large pip - it is dried a fruit and use officially. The dry wrinkled seed have usually a brown color with a reddish or goldish tint. In a number of districts of India, Sikhma and Darjeeling, from the garden-stuffs of Elaeocarpus do marinades (pickle, piccalillis) and chatni (Indian sweet-and-sour fruit-vegetable seasoning). The secret of evolution of the universe is celled in rudraksha. Can symbolize the successful maturing of pregnancy (pathology of fruit). 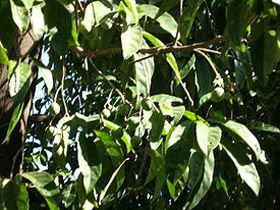 The tree of Elaeocarpus is valued both in the countries of East Asia and after their limits. His wood differs enhanceable durability, a bark is used for preparation of spices, and garden-stuffs - in the rituals of honouring of God Shiva (Rudra) and for making beads. Shiva (Rudra) - one of higher gods in hinduism. In the middle of forehead of god is the third eye which is ruinous: he burned out his flame god of love Kama. Kama is called "oneself give birth", going out from the heart of Brakhmana, by the son of Dkharma. 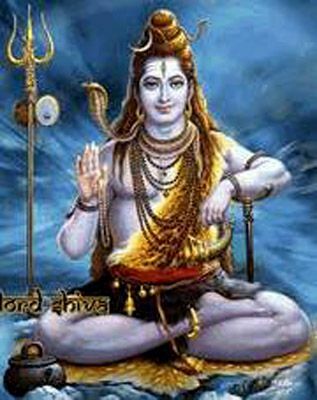 On the images of Shiva for him five (or four) persons and four hands, in which he holds the attributes of cult and power. 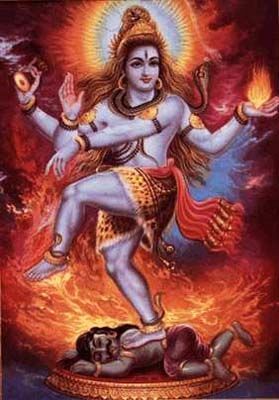 Space power of Shiva (Rudra), regulative a world order, personifies his dance which Shiva (Rudra) as Nataraja ("tsar king of dance") perform on a body of the demon killed by him. Rudraksha is the ancient Veda necklace, influence of rudraksha shows up on condition that you have it own rudraksha, if you worship it, contact with it and look at it. You must carry it in a pocket or put in a that place, where you accomplish prayers. 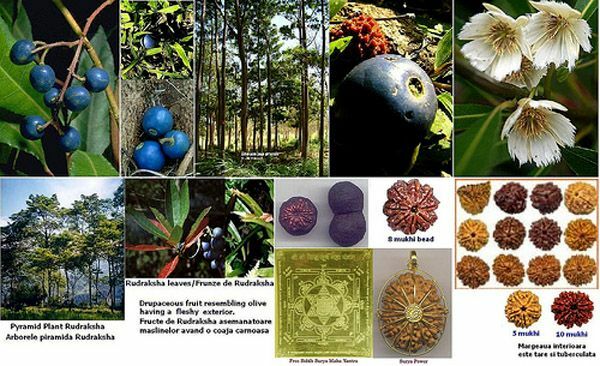 Rudraksha has hot nature and it is in the botanical gardens. Some can not wear carry (is medical plant) it, on a derma appears a sort of allergy. In this case it is necessary to put it in a that place, where you accomplish prayers. Rudraksha fragile - does not come (will collapse), does not break up objects. Crush only in medical aims. Rudraksha is used against lethargy and sleep. Besides that Rudraksha is an account device (prayers), it renders counterbalancing influence. Equipped of finger-tips means equipped consciousness. The use of Rudraksha causes habit to the balanced state of consciousness. A rosary is saved from surplus of dryness and moisture, does not moisten water superfluously. Rudraksha is sensitive of surplus of rassolov and salt water (as good from the seed of medical plant). Seed are fragile - it is not clicked by them, simply move in hands (an interval between seed is not present - them it is sometimes possible by chance to break up fingers). It should be noted that carrying of rudraksha does not stand frivolous approach, in fact it is not simply a jewelry, but by an instrument for spiritual growth and strongest amulet. "Rudraksha" - garden-stuffs are round and large enough. Usually used for making of of prayer rosary, decorative jewelry, garlands, and also as a medical plant. "Bhadraksha" - look like the first, but less large. "Indraksha" is oval grains, reminding in a due form garden-stuffs of peanut. "Sahastraksha" - look like previous, but have more flat and prolate form. 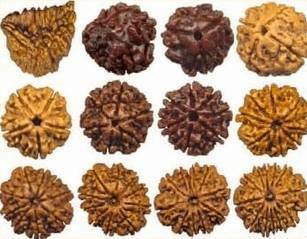 Those parts of grain of rudraksha, which are between lines, named persons (by faces). From the amount of faces a value and destiny of rudraksha depends on a fruit. 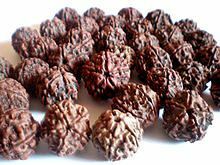 But regardless of how many faces have a fruit, carrying of rudraksha beneficially affects man, brings him success, prosperity, health, helps to be delivered from stresses, fear of death. 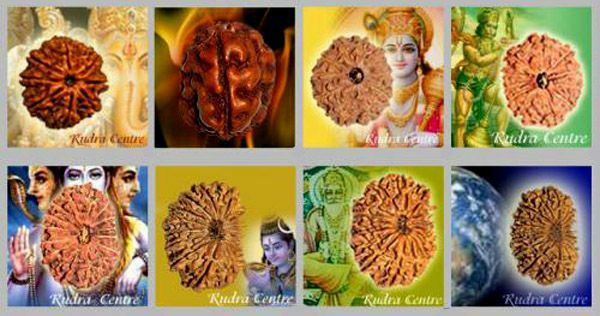 Rudraksha is capable physically and spiritually health improvement a people. Fight against hallucinations, official medicine. A few (usually five) persons of Mukkha see in the wrinkled shell of fruit, why each of 108 grains of rosary symbolizes god Shiva. In "Shrimad Devi Bkhagavatam" ("Bhagavad-Gita", "Mahabharata" book), 11 skanda, chapter IV, part 1-21, the sequence of putting on of sacred Rudraksha is mentioned on a wrist for finding of Moksha. If somebody holds Rudraksha on the head, he finds augmentation results. On ears, tenfold augmentation results. On a neck, in one hundred times augmentation results. On the sacred filament, ayyuta thousand one times augmentation results. On a hand, in one lyakkh augmentation results. And if a man puts rudraksha on a wrist, he arrives at Moksha. When an act, carried out with rudrakshay, was not mentioned in Vedas, the got results were infinite. Next step - to hold rudraksha in a hand during meditation. The cost of bead is determined on the amount of furrowing it lines, so-called "lips". It is more frequent than all possible to meet five lines, but the especially rare and valuable are consider beads decorated any other number of "lips", from one to fourteen. Rarer than all beads meet with an odnoy-edinstvennoy strip. The term of "Rudraksha" means the "eyes of Shiva literally (Rudra)". Value seed with the natural openings. Requires a carefulness is a medical plant and spices. 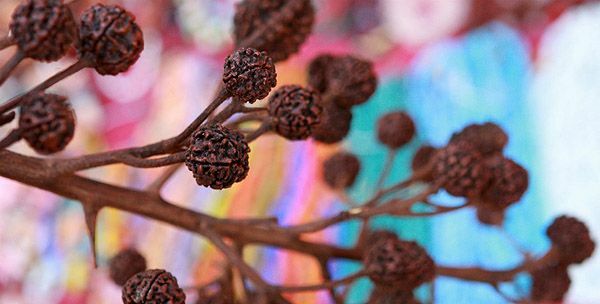 Rudraksha emboldens is a restorative plant. God Rudra is a deity of fire and gales. Lord god Shiva is an important deity of veda century which the first grasped benefit of beads of rudraksha and perpetuated opening for descendants. Presently Rudraksha is a sacred amulet for those, who got up on the way of spiritual perfection. In Shiva Purana rudraksha is described, as hot tears of Shiva. During years he meditated for prosperity of living creatures, and when opened eyes, one hot teardrop was rolled up on his cheek and fallen down downward on Earth-mother, and there, where it fallen down, the tree of rudraksha grew. Heat-loving plant of elevation upland. Rudra is elimination of all of illnesses. Hinduisms and Buddhists of chtut rudraksha as mincing garden-stuffs, provided with space power which is able to pass vibrations. Therefore they were used in creation beads for meditations and prayers. Ayurveda, ancient Indian system of maintenance of health, orders to use rudraksha in the pounded kind as official medicinal preparation for treatment and prevention 100 illnesses, including mental affections (psychiatry, psychiatric disorders are schizophrenia and its displays) and emotional disorders (exhaustion, chronic fatigue, depression and decline of forces). Rudraksha tones up. Dzhoytish prescribe rudraksha as medicine, to help a man to overcome negative karma influence and strengthen positive lines and influences (restorative medicinal preparation). Can be used as original medical massager (restorative and harmonizing influence, on seed does not press with effort, also they are ground and rub in a body) - it is hidden by the salespeople of rudraksha and trainers of yoga after mysticism and self-up (spiritually charged jeweller jewelry and wares of type of bijouterie and haberdashery). Rudraksha can be examined as modern restorative medicinal massager with the effect of Kuznecov's massager is a sphere of psychiatry and restorative emotional affecting organism. A from 1 to 21 segment has every marble of Rudraksha, look like the lobules of orange, – "faces" (Mukkha). 1 Mukkha (single, one). One of the rarest and precious marbles. He brings a luxury, power, bogatsvo and inlightening. 4 Mukkha. Helps to develop speech. Very usefully at treatment of stammer. 5 Mukkha. Promotes a concentration and gives energy for the receipt of knowledges. 6 Mukkha. Brings riches, power, name and glory. Helps a proprietor in achievement of eternal beatitude (a famous ditty song from a joke film "His Eminence promised us on Sky paradisial beatitude, while live by life earthly, let bustle about take care ...", joke catholic christianity of France, EU). 7 Mukkha. Helps a man to attain what he wishes. Helps a man to succeed in studies. 8 Mukkha. Brings riches and luxury. Helps to drive away wicked perfumes and delivered from the different forms of diseases. 9 Mukkha. Bind to the confidence, good character, happiness and salubrity. 11 Mukkha. Helps a man to overcome all of the fears and uncertainty. 12 Mukkha. Helps to sale influential position. Bind to charismatic personality. 13 Mukkha. Brings a release from mundane pleasures. 14 Mukkha. Unite with force and by power. 15 Mukkha. It promotes the concentration of force and energy, that allows a man to sale more knowledge. 16 Mukkha. Opens a way to success and prosperity. Allows a man to attain a complete comfort in life. 17 Mukkha. Helps in clearing from all the sins, allowing him to attain Moksha. 18 Mukkha. Helps to improve the immune system, protecting from illnesses. 19 Mukkha. Blesses a proprietor in domestic happiness and posterity. 20 Mukkha. Intended for those, who wants to leave all of mundane pleasures and attain Moksha (in hinduism and buddhism is a release of the soul from every changeability, sufferings and wrong life, sequence of births and deaths in sansare). Saints and brahman carry usually. 21 Mukkha. Protects a proprietor from all wicked. Material is partly used from websites http://dayoga.ru/blog/, http://www.liveinternet.ru/, https://www.evaveda.com/, http://psytribe.org/, http://scriptures.ru/, https://ru.wikipedia.org/. "Rudraksha-japam-mala" is beads from the seed of rudraksha are a reminder about prayer, united in a ring - about continuous prayer. Sorting out of rosary also allows practicing to save attention, contest with the loss of concentration and sleep. In some practices beads from different materials of doctor-litotherapy provide with ability to cure one or another illnesses. In addition, difficult motility of fingers, sorting out a rosary can help at treatment of illnesses and joints of hands. Reflexology, exact point and muscularly-tendon massage of hands (seed are fragile). In Ukraine (CIS) a rosary also love simply as jewelry - any.